Hailed as a “father figure to generations of artists,” McGee has devoted much of his life to teaching and mentoring. TROY, Mich. – As Detroiter Charles McGee reflects on the legacy he would like to leave to the world at the denouement of his remarkable 75-year career in the visual arts, he asks simply to be remembered “that I was honest and that I never felt as though ‘I’ve made it,’ because there is so much to discover out there. Among the milestones McGee cherishes most in life are his year-long artistic sojourn in Barcelona in 1968, the founding of his own art school and gallery in Detroit in 1969, his calling to teach art at Eastern Michigan University for 18 years – and, most recently, his naming as the inaugural 2008 Kresge Eminent Artist and recipient of a $50,000 award from The Kresge Foundation. The three-part, $8.8 million Kresge Arts in Detroit initiative – Kresge Eminent Artist Award, Kresge Artist Fellowships and Kresge Arts Support – was designed to promote, develop and financially support individual artists, arts and cultural organizations and arts-infrastructure groups in Detroit’s tri-county area. The Kresge Eminent Artist Award honors one exceptional Detroit artist each year for his or her professional achievements, cultural contributions and commitment to the local arts community. It is administered by the College for Creative Studies. Few individuals have come from such humble beginnings and done so much to realize their own artistic potential and to nurture the talent of others as McGee. 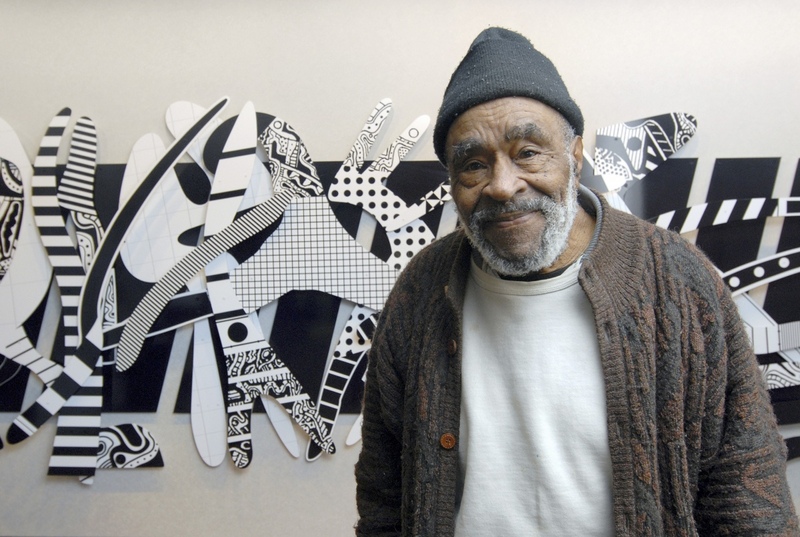 Over the last seven decades, he has earned a well-deserved reputation as a trailblazer in the contemporary arts, a passionate arts educator, a dedicated mentor of aspiring young and African American artists and a tireless promoter of community arts in Detroit neighborhoods. Along this trajectory, he has emerged as an important chronicler of black life in urban America and a social commentator on the ills of war, poverty and civil unrest that are antithetical to his vision of building a better, more beautiful and uplifting world. Detroit has played a formative role in McGee’s personal and professional life. The Motor City was the first place he attended elementary school, at age 10, after growing up on his grandparents’ farm in rural South Carolina and migrating to the industrialized North. He left school halfway through the 10th grade to enter the work force. After serving in the Marine Corps during World War II, McGee returned to Detroit where he worked in an automotive factory, attended art classes at the Society of Arts and Crafts (now the College for Creative Studies) and, in 1953, became a cartographic draftsman for the Corps of Engineers. 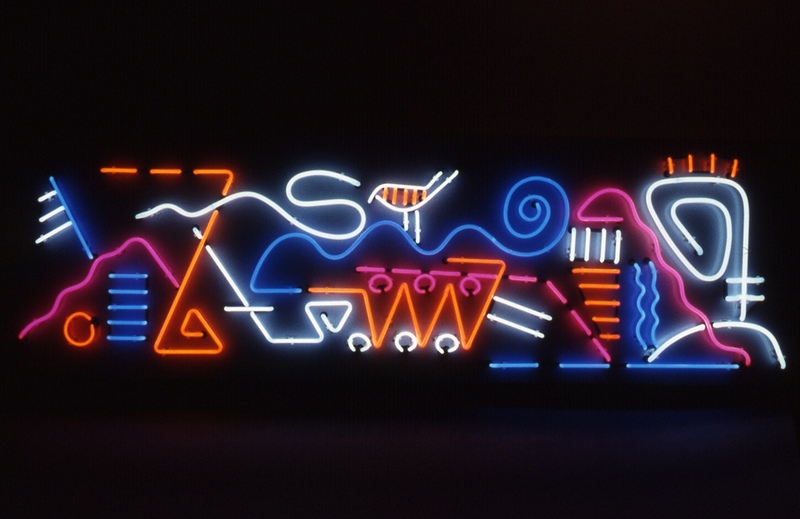 When other artists flocked to New York in the 1960s and 1970s, he stayed. “Detroit was more fitting with my temperament, and I wanted to build a mecca here for young artists, especially for black artists, because at that time, they had very little exposure.” In addition to establishing Gallery 7 as an artists’ collective and starting the Charles McGee School of Art, which operated from 1969 to 1974, McGee co-founded with artist Jean Heilbrunn and others the Contemporary Art Institute of Detroit in an attempt to invigorate the local art scene. Today, the paintings, sculptures and assemblages created by Charles McGee enrich and beautify the day-to-day lives of ordinary people who pass through the Detroit Institute of Arts, Henry Ford Hospital, the Detroit People Mover’s Broadway station and Eastern Michigan, Central Michigan and Michigan State universities, among many other sites. 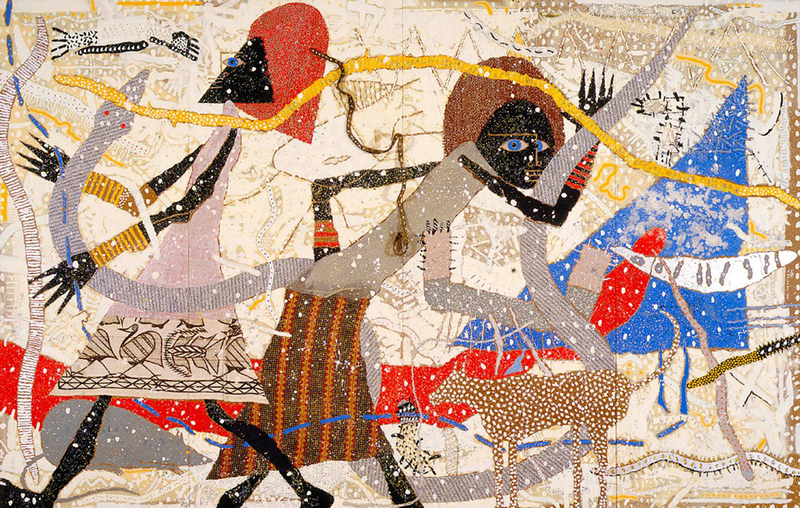 Read the press release announcing Charles McGee as the first Kresge Eminent Artist. View a photo gallery of selected works. Visit Kresge Arts in Detroit.